This is genuine Beko Product. SparesXpert is a supplier of spare parts and accessories. Credit/Debit card (UK ONLY) ?. D6323FW PB9990FS. LAM8600 LAM8602 LAM8601 LAM8603. HJA8630 HJA8640 HJA8631 LAM8601. DE3430FS DE3430FW DE3431FW DE3542FS DE3542FW DE3761FS DE3761FW DE3762FS DE3762FW DE3861FW DE3861FW(NEWVERS.). This is genuine Beko Product. SparesXpert is a supplier of spare parts and accessories. Credit/Debit card (UK ONLY) ?. 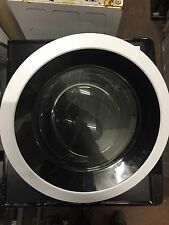 Gancho para puerta para lavavajillas Beko 1881970100 También es adecuado como Whirlpool Bauknecht. 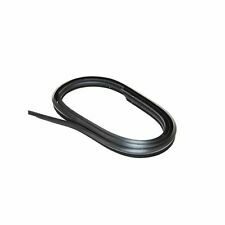 481240118578 481240118453 Indesit Ariston C00339493 C00339493 Fagor Brandt 32X2295 Amica 1007660 Parte original Repuestos originales - calidad OEM Gancho para puerta para lavavajillas Beko 1881970100 También adecuado como Whirlpool-Group / Bauknecht .. 481240118578, 481240118453 Indesit-Company C00339493, C00339493, Fagor Brandt 32X2295, Amica 1007660 Longitud: 130 mm Ancho: 29 mm Profundidad: 4 mm Color: gris Material: Plástico 188197 POM GN: 5 Contenido: gancho de 1 puerta . Genuine 4328000300. BEKO Fridge Freezer DOOR HANDLE Silver. Spare part in good working order, tested. Lower Door Seal/ Gasket. SparesXpert is a supplier of spare parts and accessories. This part compatible with following models. Credit/Debit card (UK ONLY) ?. HJA8630 HJA8640 HJA8631 HJA8650 LAM8601. This Front Door Spring fits the following Dishwashers. BEKO BELLING DIPLOMAT LAMONA HOWDEN. LAMONA / HOWDEN:HJA8640. BEKO:DWI645, DWLT65, DWLT68, DH1255X, DI1254, DI1254AP DIN1401XN, DIN1402XN DIN1531, DIN5630XN, DIN5832XLN, DSN1401XN, DSN141XN, DSN142XN, DSN1521XN, DW600, DW601, DW602, DW686, DWI643, DWI644. HAD8362, HAD8630, HDA8362, HDA8630, HJA8630, HJA8631, HJA8650, HJA8362, HJA8630, HJA8631, HJA8650, HJA8362, LAM8300, LAM8600, LAM8650, LAM8300, LAM8600, LAM8650. Pair Of Door Hinge Ropes For Lamona Howden HJA8630 HJA8631 HJA8362 HJA8650 Dishwasher. This is genuine Beko spare part. SparesXpert is a supplier of spare parts and accessories. Credit/Debit card (UK ONLY) ?. Used spare part in good working order. Suitable for freestanding models. Dishwasher BEKO DE2541FW DOOR LOCK. Condition is Used. Dispatched with Royal Mail 2nd Class. Suitable for the following appliances: Arcelik D3543FW, Beko D3421FS, D3421FW, D3422FS, D3422FS(NEWVERS. )., D3422FS-42, D3422FW, D3422FW-42, D3731FS, D3731FW, DE2431FS, DE2431FW, DE2541FS, DE2541FW, DE2541FX, DE2542FS, DE2542FW, DE3430FS, DE3430FW, DE3431FS, DE3431FW, DE3541FS, DE3541FW, DE3542FS, DE3542FW, DE3761FS, DE3761FW, DE3762FS, DE3762FW, DE3861FS, DE3861FW, DE3861FW(NEWVERS.). HJA8630, HJA8640, HJA8631, HJA8632. Lamona Dishwasher. 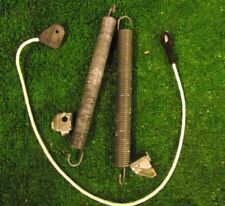 GENUINE BEKO DISHWASHER DOOR HINGE ROPE. Genuine Beko Dishwasher Door Rope Hinges 1881050100. Door ropes or cables to fit various Beko produced dishwashers including built in or integrated models of dishwasher. Used spare part in good working order, tested. Used spare part in good working order. Lower Door Seal/ Gasket. This part compatible with following models. Credit/Debit card (UK ONLY) ?. HJA8630 HJA8640 HJA8631 HJA8650 LAM8601. HJA8630, HJA8640, HJA8631, HJA8632. Lamona Dishwasher. Door ropes or cables to fit various Beko produced dishwashers including built in or integrated models of dishwasher. 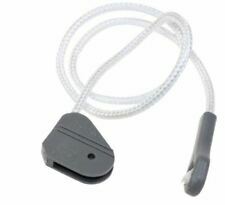 Genuine Beko Dishwasher Door Rope Hinges 1881050100. This is genuine Beko spare part. SparesXpert is a supplier of spare parts and accessories. This part Suitable for following models. DH1255X DI1254 DI1254AP DIN1401XN DIN1402XN DIN1531 DIN5630XN DIN5832XLN DSN1401XN DSN141XN DSN142XN DSN1521XN DW600 DW601 DW602 DW603 DW686 DWI643 DWI644 DWI645 DWLT65 DWLT68.